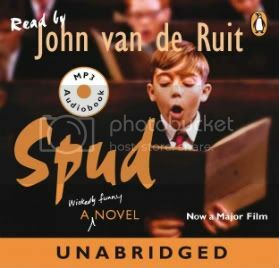 This morning, Penguin Books revealed the title of the fourth book in John van de Ruit‘s wildly popular Spud series. Spud: Exit, Pursued by a Bear is due for release in August 2012 and follows van de Ruit’s previous books in the series, the first of which is Spud, followed by Learning to Fly and The Madness Continues. Late 2010 also saw the release of the successful screen adaption, Spud: The Movie, which starred John Cleese as “the guv”. The details behind the film adaptation are all revealed in the book, The Making of Spud the Movie (How a Wickedly Splendid Plan Came Together). Penguin made the announcement on their Twitter and Facebook pages, where they asked Spud fans to share their thoughts on the new title. Some of the comments we’ve seen so far include: “the Guv would be proud”; “I am so ordering this book, and it better come to switzerland!!!! This has got to be the best book series I’ve read!! !”; “I don’t care what they name it as long as the book ends up on the shelves”; and “Am so looking forward to August!!! 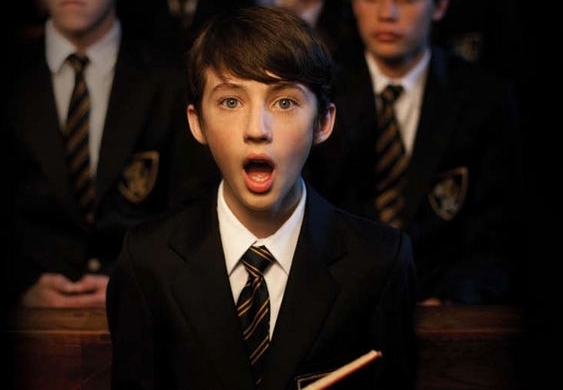 If Spud goes to Varsity he should write a book on that”. If the amount of exclamation marks are anything to go by, it seems Spud fans are very pleased with the announcement. To those who aren’t appalled at the thought of another Spud book coming, I bring you good news. There is another Spud book coming. When I say coming, I don’t mean coming coming, but rather as a euphemism for “in due course” or “languidly anon.” I have noticed that a number of you have voiced your heartfelt derision at the length of time it has taken for the 4th and final Spud book to emerge. I agree August 2012 sounds like an eternity to wait for publication, but it isn’t as long as many of you are making out. A human pregnancy for example will take longer, as will a Mangosuthu Buthelezi speech. I do concede that with the previous three books being born in 2005, 2007, and 2009, readers of the Spud were quite within their rights to expect the 4th book in 2011. I myself was appalled that the book wasn’t written in time and have had some incredibly stern words with myself and pulled out a few clumps of hair as punishment.